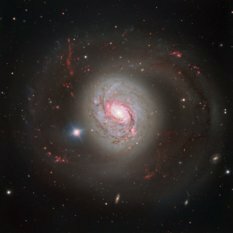 For every week since 2002, Planetary Radio has visited with a scientist, engineer, project manager, advocate or writer who provides a unique perspective on the quest for knowledge about our solar system and beyond. We also showcase regular features that raise your space IQ while they put a smile on your face. 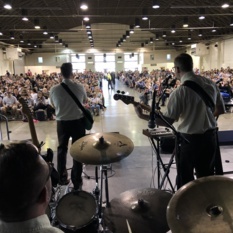 Planetary Radio Live goes on stage at the first ever Fairplex Extreme STEA2M Festival in Pomona, California. Host Mat Kaplan and Planetary Society CEO Bill Nye are joined by four young space scientists and engineers in front of hundreds of families. The Dean of space policy, John Logsdon, returns with stories and a new book of original documents that shaped the US space program from the birth of NASA to SpaceX. 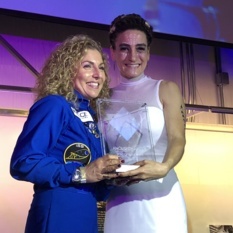 Planetary Society CEO Bill Nye reports in from this year’s International Astronautical Congress in German, while Senior Editor Emily Lakdawalla wraps up a working tour of New Zealand. Then join Bruce and Mat for this week’s What’s Up. Host Mat Kaplan once again attends the worldwide party for space. Join him at the Los Angeles celebration under Space Shuttle Endeavour. Planetary Society CEO Bill Nye attended the State of the Union address on January 30th, he also spent the day meeting with sixteen different members of Congress to promote science on Capitol Hill. 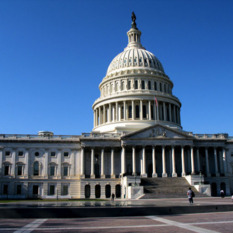 In this special abbreviated show, Casey Dreier and Mat Kaplan welcome their colleague Matt Renninger, who joined Bill on Capitol Hill, to discuss the goals of The Planetary Society and the reasons why it was important for Bill to attend. 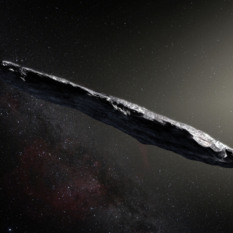 The first confirmed interstellar visitor to our solar system is a needle-shaped asteroid given the Hawaiian name ‘Oumuamua. Karen Meech leads the team that is learning as much about it as possible before it leaves our neighborhood, never to return. 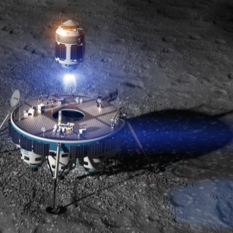 Moon Express Founder and CEO Bob Richards shares an inspiring vision for a return to the Moon. It includes introduction of a sophisticated line of robotic spacecraft, the first of which may make a soft landing next year. Astronomer Pamela Gay tells us how anyone can work with images of Earth taken by astronauts, turning them into terrific scientific resources. 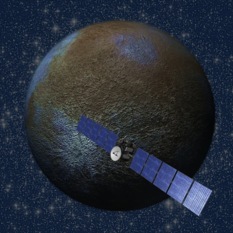 Dawn Mission Director and Chief Engineer Marc Rayman helps us salute the ion-engine powered spacecraft that first orbited asteroid Vesta in the main asteroid belt and then moved to dwarf planet Ceres, revealing two fascinating worlds. JPL astrophysicists Alina Kiessling and Jason Rhodes were brought together by their fascination over the mystery of dark energy. 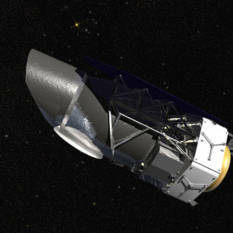 They talk with Planetary Radio about their research and the many missions they are contributing to, including WFIRST, a unique new space telescope. The world’s most powerful solar telescope has just been renamed for the man responsible for its creation. 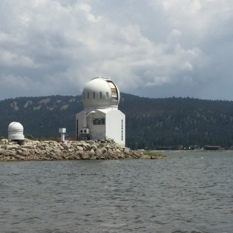 We’ll meet astrophysicist and helioseismologist Phil Goode, and we’ll enjoy a tour of the Goode Solar Telescope. 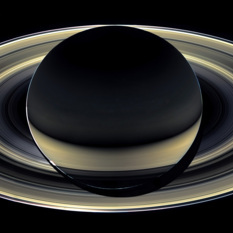 The Cassini Mission has less than two months to go before it ends with a spectacular plunge into the beautiful ringed world. Planetary Society Senior Editor Emily Lakdawalla has prepared a guide to the last orbits by the historic spacecraft. Veteran astronomer and cosmologist Sandra Faber has just been awarded the Gruber Prize for Cosmology, honoring more than forty years of pioneering work. She talks with Mat Kaplan on this week’s show. 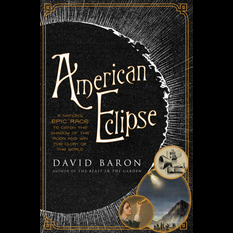 Former NPR science reporter David Baron discusses the stories of men and women who made their way across the American West to view and document the total solar eclipse of 1878. 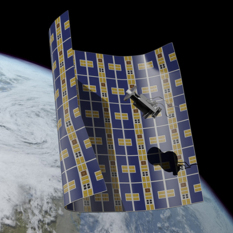 How do you keep a dazzlingly complex spacecraft in good health after 20 years in space? That’s the challenge for Julie Webster and her team of engineers supporting the Cassini mission at Saturn. 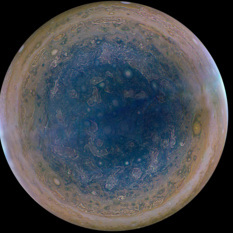 Have you seen its stunning image of Jupiter’s south pole? The Juno orbiter is surpassing expectations and delivering surprising science. 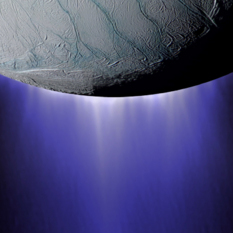 Scott Bolton, the mission’s Principal Investigator, is back with a thrilling report. 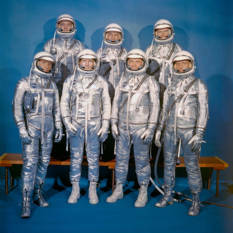 He walked with Neil Armstrong on the moon, but that may not be his greatest legacy. 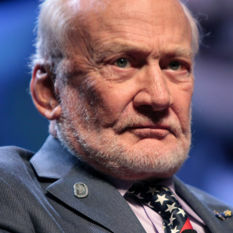 Buzz Aldrin was joined by other space stars at the recent Humans To Mars Summit. 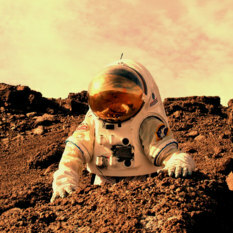 The human journey to the Red Planet is long and hard, but Mat’s conversation with three NASA Associate Administrators at the Humans to Mars Summit was filled with cautious optimism. Veteran Jet Propulsion Lab planetary scientist Bonnie Buratti talks with Mat about the wonder of our solar neighborhood that she explores in "Worlds Fantastic, Worlds Familiar—A Guided Tour of the Solar System." It was a big week for the Science Guy, and for science. 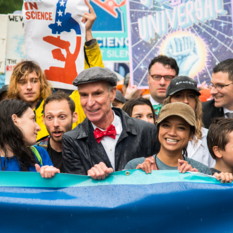 Bill Nye served as honorary co-chair of the March for Science in Washington DC. His new Netflix series, Bill Nye Saves the World, premiered the next day. 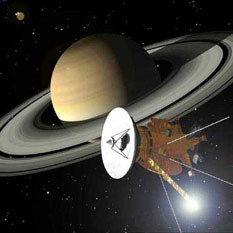 Two of the show’s thirteen episodes are devoted to space science and exploration. Bill talks about all this in a special conversation with Mat Kaplan. The Aerospace Corporation has been innovating since 1960. Now it’s headed by a former leader of “New Space” company Virgin Galactic. President and CEO Steve Isakowitz talks about the evolving culture of the space industry.